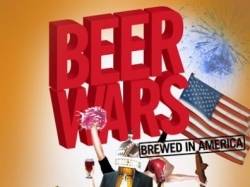 Following on the heels of one-off screenings in Halifax and Vancouver, the American documentary film Beer Wars is now available for viewing via several cable and satellite On Demand services across the country. As of February 1st, the film is available to subscribers of Rogers Cable, Cogeco, Videotron, Sasktel and Shaw. I’m glad, maybe there will be some consumer backlash. I live in Toronto and the LCBO (Liquor Store) near my home has recently removed most of the independent stock replacing it with InBev and SAB-MillerCoors. It’s a shame, I guess I’ll have to find a new place to buy beer.